THERE is the chance to cruise Scotland's Union Canal aboard the Seagull. The boat is a wide beam with a sliding roof to enable passengers better viewing, with three times the space of a narrowboat, Alan Tilbury reports. The trip has been organised by Seagull Canal Cruising and will take place at Easter on Friday, 19th April. 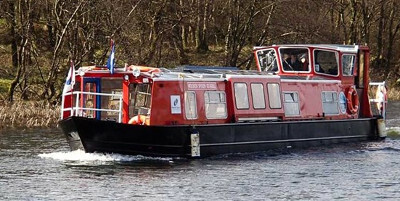 Passengers will cruise from the Seagull Trust Cruises Boathouse at 11am, travelling along the Union Canal before arriving in Linlithgow at around 2.30pm.